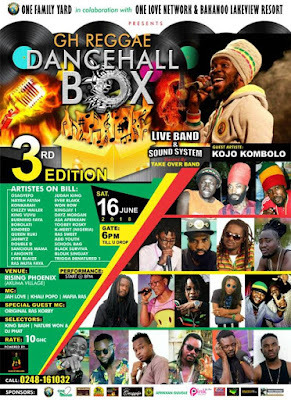 It's that time of year for the next staging of GH Reggae Dancehall Box comes off, and as consistent as the record as remained so afar, One Family Yard, One Love Network and Bakano Lakeview Resort are putting up the 3rd edition on 16th June at Akuma Village, the usual venue. Kojo Kombolo is the headline artiste for this edition. On this edition's performance bill: Osagyefo, Kojo Kombolo, King Vuvu, Burning Faya, Queen Ruki, Sancious Mama, StarQuinn, Wan Row, Double D, JahWyz, Chizzy Wailer, Konkarah, Ras Sweet, Asa Afrikaan, Eva Blazin, Ras Muta Faya, Blouk Singjay, Black Surviva, Togbey Rosky, Dayz Morgan, School Bag, I Annointe, Judah King, Kingjay I and some more other equally good artistes. 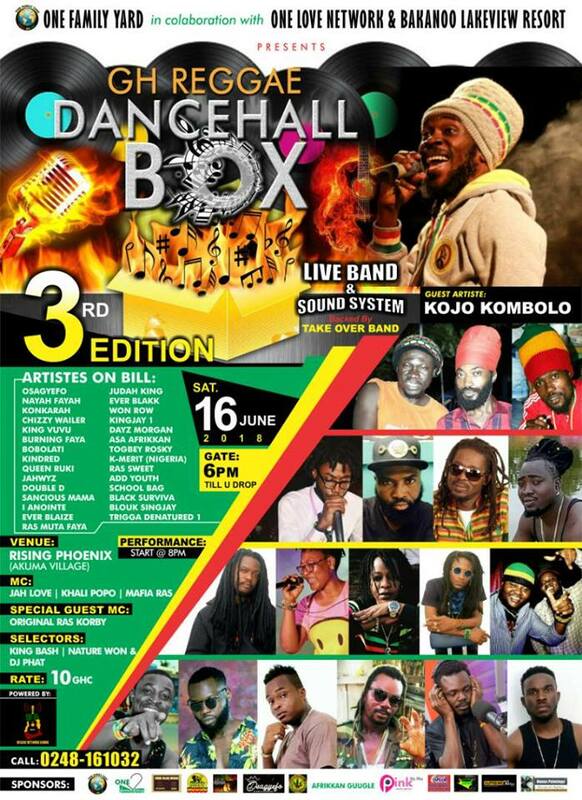 MC's for the night are Jah Love, Khali Popo and Mafia Ras. The DJ's on ratation are DJ Nature Won, King Bash and DJ Fat. origianl Rs Kobby is a special guest. 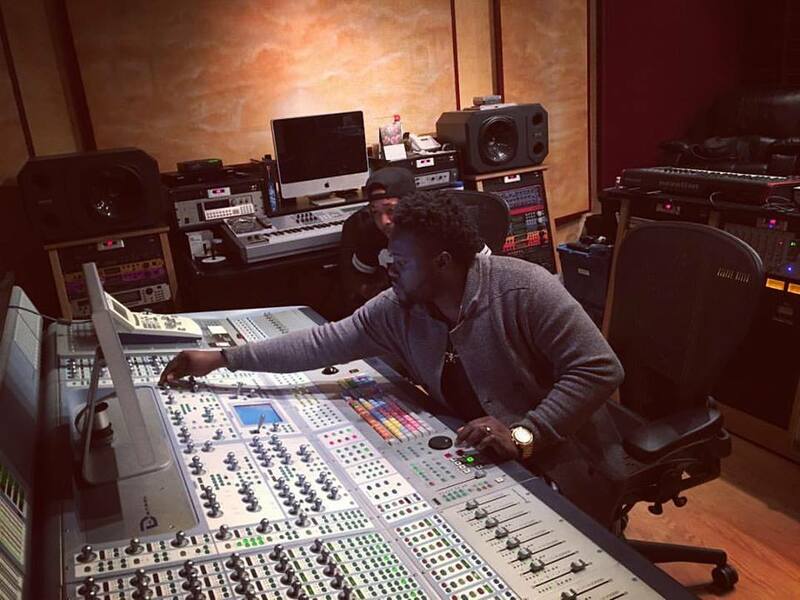 Some of the artistes will take turns on the live band session, optionally. Gate opens at 6pm, shows starts then til morning.